Tucked away within the oceanfront condominium community of Cliveden Jupiter Island in the sun drenched town of Jupiter, Florida is this flawlessly designed corner unit condo. Commanding a panorama of floor-to-ceiling Intracoastal and ocean views from the 7th floor, this truly spectacular Cliveden Jupiter Island gem boasts more than 2,700 square feet of remarkably crafted living space with 2 bedrooms, 3.5 bathrooms and an office that can be easily converted back to a third bedroom. The impeccably equipped gourmet kitchen offers countless premium features including walls of sleek modern cabinetry, fossil countertops, a built-in Miele coffee system and a full suite of Thermador and Sub-Zero appliances. Equally impressive, the lavishly appointed Master suite boasts its own set of exceptional features including his & her bathrooms and a spacious walk-in closet with custom built-ins. Additional appointments include 9 foot ceilings, tile and marble flooring, private keyed elevator, custom glass door foyer with waterfall wall, Baccarat crystal light fixtures, spacious laundry room with front loaders and service elevator access, Lutron Smart Home System, 2 garage parking spaces and an expansive wrap-around terrace showcasing incredible views. 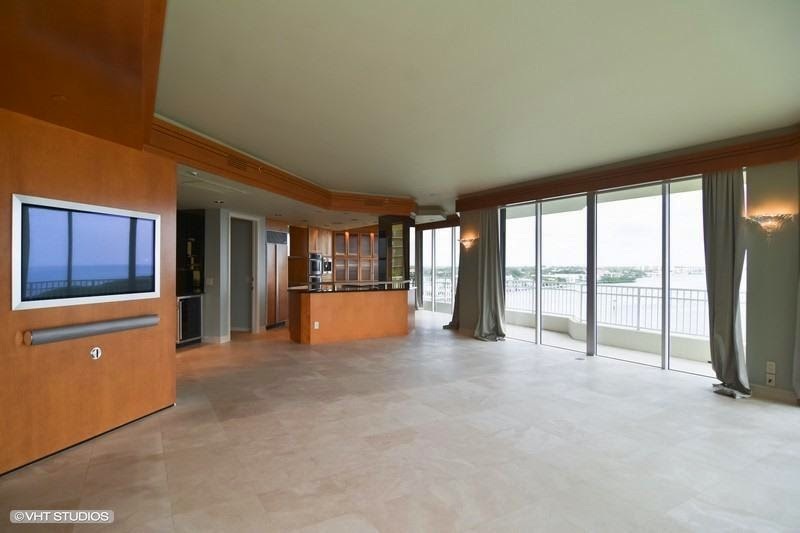 425 Beach Road #7-o is located in Jupiter and is currently asking $1,849,000. This Cliveden listing is courtesy of Illustrated Properties/jupiter MLS# RX-10128911. Cliveden Jupiter Island is an oceanfront condominium community nestled along the sun drenched shores of Jupiter, Florida. Residents of this unparalleled community enjoy an amazing array of first class amenities including an onsite manager, garage parking, state-of-the-art fitness center and a beautiful resort-style pool overlooking the Intracoastal. Ideally situated on the south end of Jupiter Island, Cliveden residents also enjoy a premier location just minutes from the upscale shopping, dining and entertainment of nearby Harbourside Place.